Honey Pot Nursery Aigburth is one of four nurseries in the Honey Pot chain. It is a private day nursery which has been operating since 2007. It was last inspected in March 2017 and was judged as Outstanding by Ofsted. The nursery has 105 children on roll and employs 13 staff. We have always been passionate about leading the best possible practice and after reading many articles about Millie’s Mark we were determined to achieve it. The process of achieving the Mark reaffirmed to us that the practices we have in place are of the highest standard and worthy of recognition. The criteria we had to work to also brought up areas where we could improve further and our practice has been strengthened as a result. We are really proud of the whole team effort to achieve this Mark and it has been well received by parents too. They have so much confidence in the nursery as a result of our commitment to putting children’s safety first. 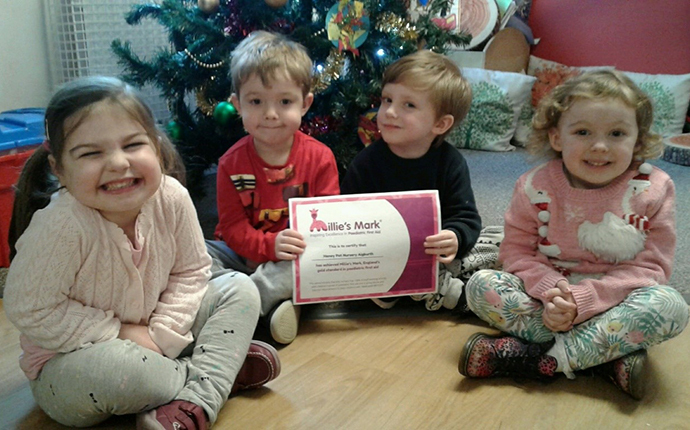 We would highly recommend this quality mark to other nurseries as the process has been hugely beneficial, as well as the end result.